Ayden Owens' first international experience in track and field will have some history behind it. Not only will it be a memorable one for the North Allegheny (PA) High School graduate, as it will be his debut on the international stage at the U20 Championships in Tampere, Finland, but the University of Southern California signee will also be donning a kit for a country of which he hadn't planned. Representing the country from where his mother's parents were born and of which his mother, Carmen, has heritage, Owens will be wearing the red, blue and white of Puerto Rico. "It's definitely an honor to represent the country that my grandparents are from and it feels great," said Owens, who qualified for the decathlon in June at the Vertical Adventures Decathlon and Heptathlon Event in New Jersey with a score of 7,354 points. "It's an opportunity that very few athletes have in high school and to be able to go to Finland and compete to close out my career, it's an honor." 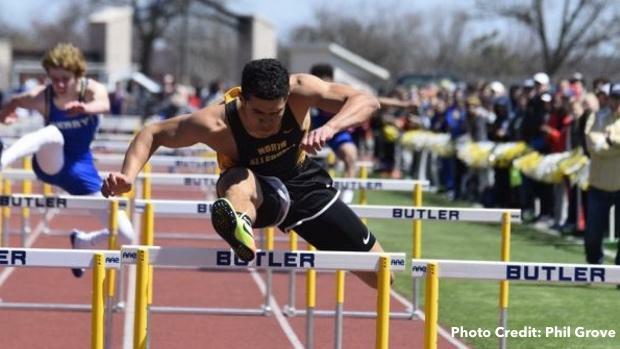 Owens, a recent Brooks PR winner in the 110mH, originally had hoped to qualify for U20s at the USA Junior Championships in Indiana, but a previous commitment-graduation at North Allegheny and a wedding-prevented him from doing such. Instead, because he's a dual-national, he decided to file for representation for Puerto Rico. Owens, who also qualified for the open 110mH and 200m, will compete exclusively in the decathlon for the country--he's one of four others from the island competing. "This will be my last opportunity to compete as a junior," Owens said. "So whatever country allowed me to represent them and travel to Finland, that was my goal. "I'm looking forward to competing against people from all over the world," he added. He said his mother was thrilled when he came to the decision. "She's proud of me, for representing her country and her parents country," he said. "They're all proud. They have a lot of pride, especially when you consider the little island was destroyed by a hurricane and had financial struggles recently." Unlike the international governing body of soccer, FIFA, which locks in an athlete to a particular country after a particular age and time, track and field's international body, the IAAF, has often let athletes compete for multiple countries over a career. That rule recently came under fire in 2017, when the IAAF froze nationality change requests by athletes, though a new system has yet to be implemented and Owens likely will have a chance to switch back to USA if he ever chooses to do so. "The rules are something I'm still learning," Owens said. "I made the decision when I'm a minor, so I'm not sure who I will represent in the future, but I was talking to my coach about it and I don't think I'm locked in just yet." In the meantime, Owens will concentrate on what's ahead of him. That focus is mostly on his hopes of earning a medal at U20s. He's currently seeded 10th overall among 15 contestants, which also include's USA's Kyle Garland--an athlete Owens saw frequently in Pennsylvania when the pair would square off in multiple events. Stepan Kekin, a Russian athlete who was granted eligibility as an authorized neutral athlete-the Russian federation incurred an international competition ban after a country-wide doping program-heads into the U20 Championship as the top seed, having scored 7,817 points. Garland is ranked No. 6. 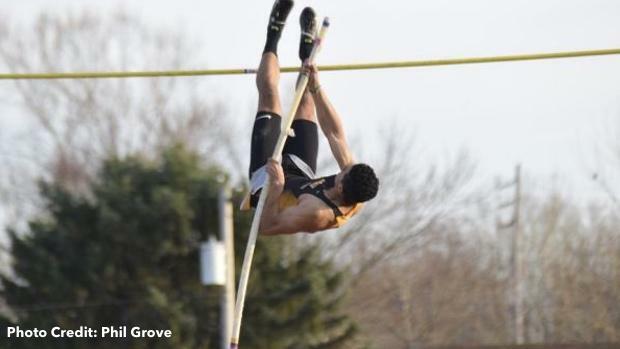 Owens is confident, however, that he can make up more ground over his 10 events. "We all have our own competitive nature," Owens said, "But I think the bigger picture when you go to these meets is, regardless of who's in front, I'm going to try and go out and win and put in a good performance." Owens says he's completely healthy going into the competition and feels ready to unleash some of his best marks. His strength's as a decathlete, he says, are in the sprints, where he's logged personal bests of 13.68 seconds in the 110mH, 10.68 in the 100 meter dash and 48 seconds in the 400m. But Owens' skills go far beyond just that. In the pole vault, Owens believes he can reach higher than his 14-foot best and can long jump in the range of 24-feet. He also has been working to improve his javelin and shot put marks. Closing out the decathlon, Owens can even ramp up his speed in the 1500m, having produced a best of 4:51.83. A point total above 7,500 is within reach. "Pretty soon all of that is adding up and I could be putting together some pretty big numbers," he said. When his first international experience is up in Finland. Owens said he will cherish the moment. Then it's off to Southern California, where he said he will enroll in August and begin his new collegiate career with the Trojans.